Please use Piazza for assignment help. This is an advanced intro course in computer vision. It is intended for honors upper-level undergraduate students. Billions of images are on the web---how can you find the ones you are interested in? How could photo collections on social media be indexed automatically by the people or events they contain? How could we interact with a computer using natural gestures or facial expressions? How can a robot identify objects in complex environments, or navigate uncharted territory? After capturing video with a wearable camera for days on end, how to determine those snapshots worth keeping? How can we develop augmented reality systems that overlay visualizations relevant to the real-world content in sight, e.g., a menu for the restaurant you just passed on the street, or a field guide entry for the unusual insect you encountered while hiking? All such questions demand high-level computer vision. 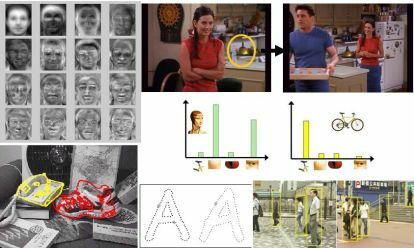 In computer vision, the goal is to develop methods that enable a machine to “understand” or analyze images and videos. In this introductory vision course, we will explore fundamental topics in the field ranging from low-level feature extraction to high-level visual recognition. After covering the fundamentals for image processing, grouping, and multiple views, we will emphasize machine learning-based methods. While we will motivate the concepts from the vision problems, the learning algorithms we will study are also useful tools for other domains in AI and beyond. 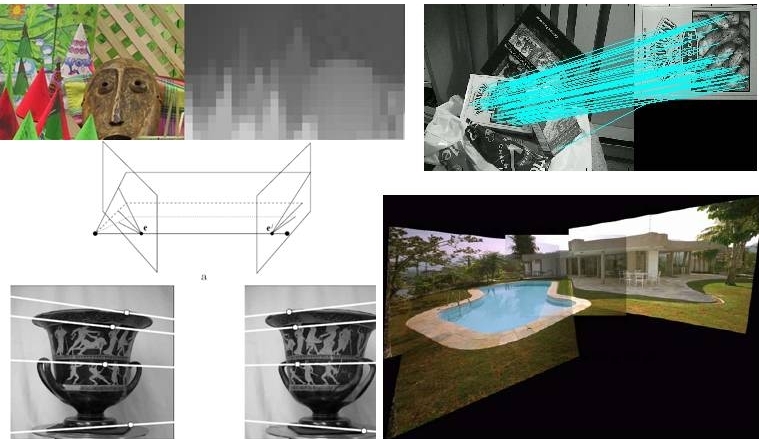 Note, due to our emphasis on learning methods (and the time constraints for the syllabus), this course will omit or treat only briefly some core aspects of computer vision, such as multi-view geometry, 3d reconstruction, and tracking. 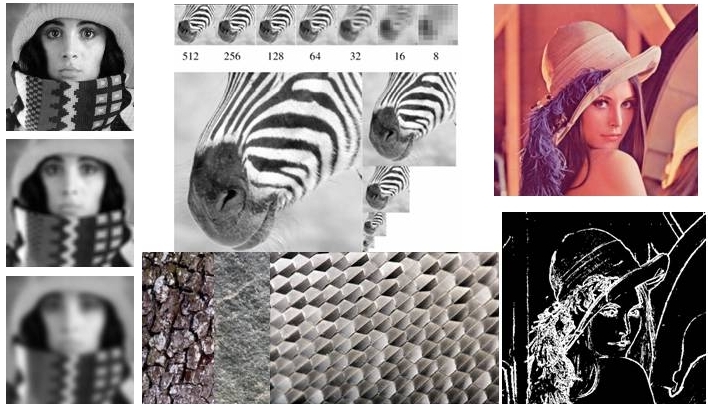 Computer Vision: Algorithms and Applications, by Rick Szeliski. It is freely available online or may be purchased in hardcopy. Course lecture slides will be posted below and are also a useful reference. You may also find the following books useful. Introductory Techniques for 3-D Computer Vision, Emanuele Trucco and Alessandro Verri. 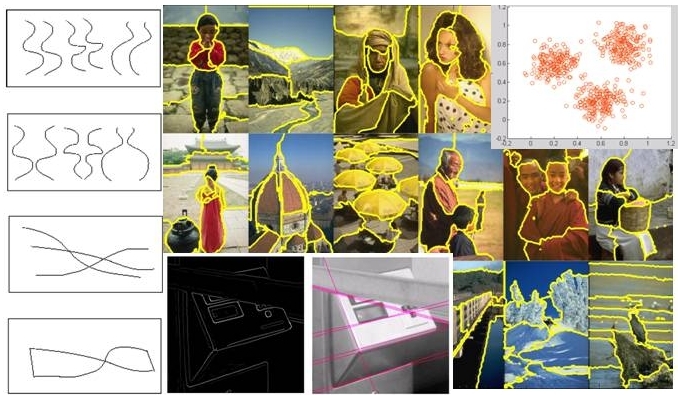 Multiple View Geometry in Computer Vision, Richard Hartley and Andrew Zisserman. Object labeling in RGB-D videos, Lai et al. Basic knowledge of probability and linear algebra; data structures, algorithms; programming experience. Previous experience with image processing will be useful but is not assumed. Assignments will consist largely of Matlab programming problems. There will be a warm-up assignment to get familiar with basic Matlab commands. We will recommend useful functions to check out per assignment. However, students are expected to practice and pick up Matlab on their own in order to complete the assignments. The instructor and TA are happy to help with Matlab issues during office hours. If you are unsure if your background is a good match for this course, please come talk to the instructor. Assignments: Assignments will be given approximately every two weeks. The programming problems will provide hands-on experience working with techniques covered in or related to the lectures. All code and written responses must be completed individually. Most assignments will take significant time to complete. Please start early, and use Piazza and/or see us during office hours for help if needed. Please follow instructions in each assignment carefully regarding what to submit and how to submit it. Extension policy: If you turn in your assignment late, expect points to be deducted. Extensions will be considered on a case-by-case basis, but in most cases they will not be granted. The greater the advance notice of a need for an extension, the greater the likelihood of leniency. For programming assignments, by default, 10 points (out of 100) will be deducted for lateness for each day late. We will use the submission program timestamp to determine time of submission. One day late = from 1 minute to 24 hours past the deadline. Two days late = from 24 hours and 1 minute to 48 hours past the deadline. We will not accept assignments more than 4 days late, or once solutions have been discussed in class, whichever is sooner. Exams: There is an in-class midterm and a comprehensive final exam. Come to lecture on time. Check the class webpage for assignment files, notes, announcements etc. Complete the readings prior to lecture. The reading assignments listed on the schedule should be read before the associated class lecture. Please do not use a laptop, cell phone, tablet, etc. during class. Please read and follow the UTCS code of conduct. Final exam: Tuesday May 16, 9-12 noon in GDC 1.304 (as set by registrar). The exam is given during the normal final exam period and will be offered at that time only. Assignments are due about every two weeks. The dates below are tentative and are provided to help your planning. They are subject to minor shifts if the lecture plan needs to be adjusted slightly according to our pace in class. Grades will be determined as follows. You can check your current grades online using Canvas. You are encouraged to discuss the readings and concepts with classmates. However, all written work and code must be your own. All work ideas, quotes, and code fragments that originate from elsewhere must be cited according to standard academic practice. Students caught cheating will automatically fail the course. The case will also be reported to the Office of the Dean of Students, which may institute its own disciplinary measures. If in doubt, look at the departmental guidelines and/or ask. The University of Texas at Austin provides upon request appropriate academic accommodations for qualified students with disabilities. To determine if you qualify, please contact the Dean of Students at 471-6529; 471-4641 TTY. If they certify your needs, I will work with you to make appropriate arrangements. You may use any tool for preparing assignment write-ups that you like, so long as it is organized and clear. Typically we ask for a mix of descriptions/explanations as well as embedded figures composed of images and/or plots produced in Matlab. 4) scroll down to "Homework Assignment" and click on "more homework assignment templates"
5) choose whichever template you feel comfortable with and click "open as template"
7) once you are done editing, click "PDF" in the panel above. A pdf file will be generated and downloaded automatically. Here are instructions about inserting images.